We can all use positive words sometimes and members of Trinity Episcopal Church just sent a handful of thank-you cards to our counselors and staff and we thank them for the motivation. “Know that you have support, love & prayers from those of us at Trinity Episcopal. Trinity’s Rector, Rev. Meghan Holland serves on the SAFE board and we’re grateful for her valuable service and the kind words from church members. I would like to go to a concert and enjoy the crowd's cheers. Head to a theme park and enjoy it with everyone around me. Eat an amazing meal in the middle of a restaurant with a proper conversation. Be touched by a loved one and relax in their arms. Take a road trip and see all the sights I have wondered about, seen and heard on TV or social media. These are things I loved to do before dealing with post-traumatic stress disorder. The military has changed my life, from being more disciplined to helping me grow into a man, father and family man. I absolutely love my country and serving in it. 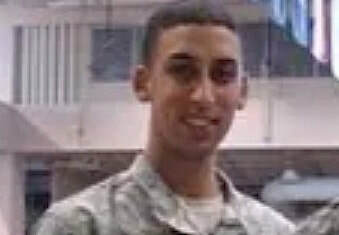 I served actively in the Army for eight years and was stationed in South Korea, Argentina and Iraq. On my Iraq tour, our vehicles were attacked. I was injured but nothing too serious — or so I thought. Physically, a couple of cuts, bumps and scratches. I popped an ibuprofen and moved on. I am happy to say I am a veteran. But the one thing I was not prepared for when I came back into the civilian life — my mental injuries. I would snap at a server for not refilling my water fast enough, and I would get up and go to them. I would go crazy if I saw that things weren’t done the proper way at work. Carrying a weapon would put me on edge at times. Shooting at a range would give me pleasure but also bring back memories. Relationships wouldn’t last because I thought I was not good enough, or mentally stable to be in one. Loneliness was the only safe haven I had, and I pushed everyone away. Anxiety would kick in when the doors behind me were locked in a room with only one way out. Depression would kick in if no one was around to acknowledge, correct and praise me. Insecurities would come and go. Driving on the highway and seeing trash, boulders or things with wires on the side of the road made me overly alert. Love was a weakness. I still deal with some of these issues, as do many more like me dealing with PTSD. Knowing what triggers you can be helpful. Biting your pride and seeking help can help as well. I can’t say it will heal you or make you forget — no doctor or psychologist will ever make you forget. But I have learned to manage ways around my triggers. I play video games and teach Latin dancing, and I do activities with my son. My son looks up to me as a single dad, and that forces me to study myself and actions around him. When I am alone I try to learn my triggers and what sets off my PTSD. I try to steer around them, or I hit them straight up in the middle and hurdle over that obstacle. But if you don’t learn your triggers and what helps to confront or avoid them, then PTSD will always win. There are many men and women who have faced traumatic experiences — first responders, veterans, victims of childhood trauma and of physical and mental abuse. No one can ever get those experiences out of our heads. We will relive them until our lives expire. But knowing what triggers your traumatic memories and working with someone or just yourself is an improvement overall, and you are an amazing human being if you can overcome those obstacles. This article originally appeared in Florida Today. It is published here with permission of the author. 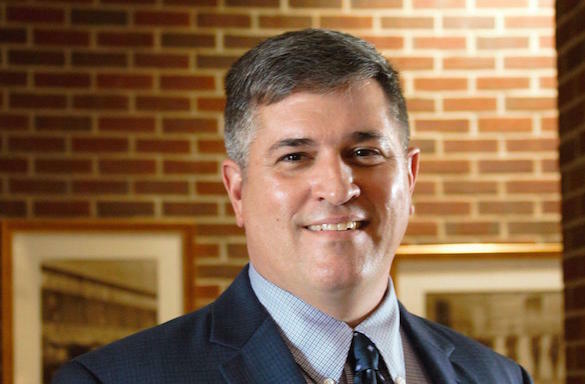 Montgomery County has named Andrew Kester as Director the Montgomery County Veterans Service Organization. The county office assists veterans with guidance for dealing with the V.A. on issues like disability compensation, pensions and schooling under the GI Bill. Kester is an Army veteran and recently served as an adjunct professor at Western Kentucky University. For information visit the Veterans Service Organization website. The campaign, started by Immaculate Conception School is a fundraiser that spreads a positive message and supports SAFE and several other Clarksville charities. 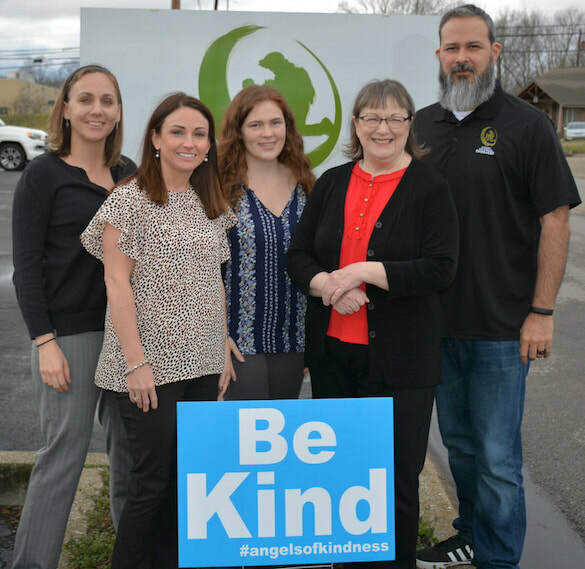 Immaculate Conception School, and other schools in Nashville Diocese, started the kindness campaign in 2018 as an antidote to bullying and built on the original concept with a fund raising component this year. The signs, in baby blue include the 'Be Kind,' message with the #angelsofkindness are available for purchase for $10 at Immaculate Conception School offices at 1901 Madison St. Proceeds go to SAFE, Habitat for Humanity of Montgomery County, The Food Initiative, Tender Paws Animal Therapy of Clarksville, and Clarksville Urban Ministries’ Safe Place. SAFE thanks Immaculate Conception for supporting our mission in such a positive way. The U.S. military finished 2018 with the highest number of suicides among active-duty personnel in at least six years. According to military.com, 321 active-duty members took their lives during the year, including 57 Marines, 68 sailors, 58 airmen, and 138 soldiers. The impact of suicide is not unique to the military. The Centers for Disease Control reports that suicide rates in the U.S. have increased in nearly every state over the past 20 years and that incidents of suicide are "rarely caused by any single factor." 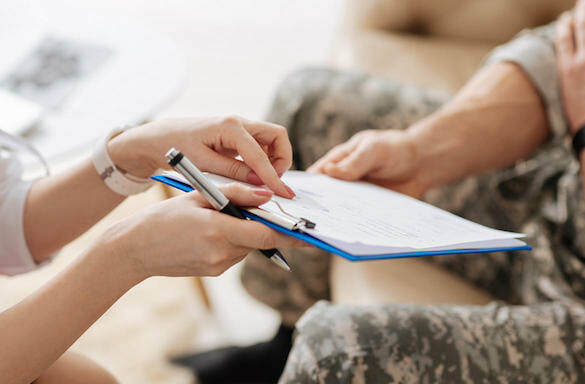 ​​SAFE delivers confidential counseling free of charge to those affiliated with the military regardless of discharge type or length of service. We are not affiliated with DOD or VA.
Our services are provided at no cost, are strictly confidential and insurance is not required. Visit What We Do for more information. Soldiers and Families Embraced (SAFE) is a local non-profit organization dedicated to offering mental health counseling to active-duty service members, military veterans, and their families. The organization has undergone some recent changes to ensure that SAFE reaches veterans or veterans’ families who are struggling with mental health or depression. Lantz Smith is Executive Director of SAFE, and like those whom SAFE is trying to reach, Smith is a veteran. The entire staff at SAFE consists of veterans or veterans’ spouses, which helps establish an environment of what Smith calls cultural competence. SAFE has also established a simplified intake process for anybody interested in their services. Once a potential client fills out their information – which goes only to Smith or SAFE’s program director, Amy Fidler – on SAFE’s website, Smith or Fidler reach out for a phone assessment. Afterwards, the client is connected with their provider to complete the first intake. This removes the need for a client to give their information twice, first to the organization, and then again to their counselor. Smith says that this gets clients into helpful sessions more quickly. SAFE does not operate under the Department of Defense, Veterans Affairs, or any other governmental agency. Funded entirely by private donations and grants, SAFE is able to maintain greater control over client confidentiality. Their relative autonomy also allows them to keep their waiting list small. In their effort to offer the best assistance possible to veterans and their families, SAFE also has a new location at 1812 Haynes Street, across from Publix off Memorial Drive. If you are interested in requesting SAFE’s services, you can go here. Follow SAFE on Facebook.